Apps for parking are big business. They process non-cash payments and help drivers find and reserve parking spaces. They also help drivers avoid parking tickets. Clear directions with real-time information on traffic jams is also a plus for users. This is one more reason why there’s a growing number of parking app users. Parking app technology is on the rise. The latest research by IoT Analytics predicts $3.8 billion in spending on smart parking solutions by 2023. The achievements of some parking apps are evidence of high demand for such services. Let’s take the MKE Park app as an example. Operating in Milwaukee only, this automobile app has encouraged users to download it 179,000 times since 2015. Use of the app has grown from 6,518 transactions per week in 2015 to 16,913 transactions per week in 2018. 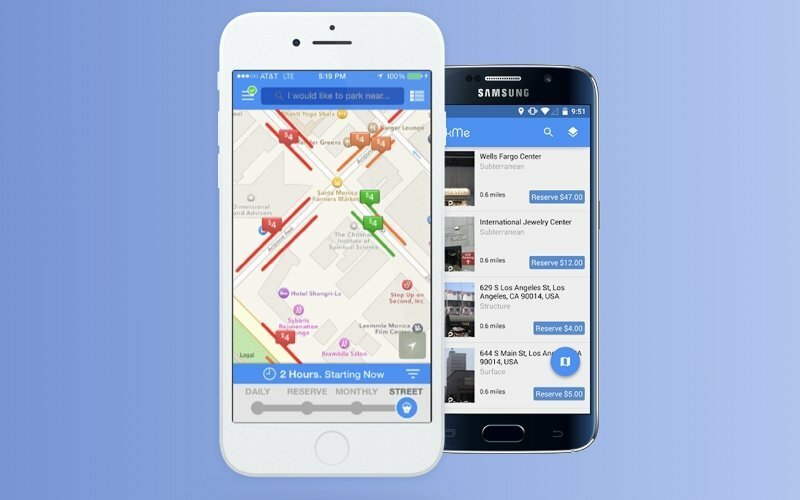 Another parking app, ParkWhiz, boasts over 40 million users in more than 4,000 parking locations and covers 190 US cities. There are lots of parking apps nowadays, and you may wonder if there’s still room for your business. In fact, the answer is yes. Despite the seeming occupation of this market niche, cities across the world keep struggling with the problem of finding a parking space. Statistics show that 30 percent of all traffic in the average city is vehicles searching parking spots nearby. Are all of the parking spaces occupied? Nope. A report released by RIHA, covering New York City, Philadelphia, Seattle, Des Moines, and Jackson, revealed the astonishing fact that these cities are full of parking spaces that are mainly vacant during the day. In downtown Seattle, for example, only 64 percent of parking spaces were busy. Outside of the downtown, the occupancy rate was even less than half the capacity. 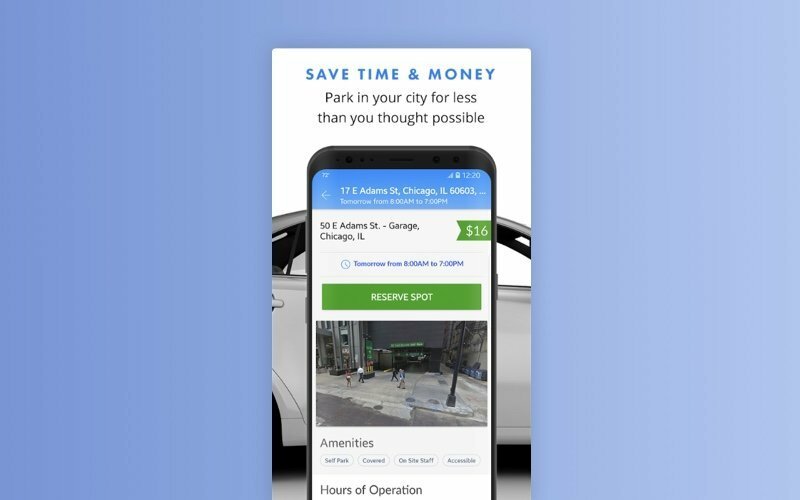 So if you’re considering developing a parking app, it’s the right time to roll up your sleeves, decide on the region to operate in, and step into the market. Take advantage of the experience of leaders, learn from their mistakes, use the newest technologies, and provide customers with better service. Focus on localization. Parking apps can be designed for a certain megalopolis and try to cover as many parking spaces as possible within the coverage area. ParkRight, for example, works only in London and provides a wide selection of on- and off-street parking. Focus on spreading geographically. Apps for parking can also embrace several cities or an entire country. Some even provide international services. ParkNow Group, for example, offers parking services in more than 1,000 cities around the world. Two categories of apps aim at different parking needs. But keep in mind that your app may combine both options. Parking in advance. Your on-demand parking reservation app may allow users to pay in advance to reserve a place long before they intend to park. ParkMe informs a user where they can park up to two weeks before a planned business trip. Parking on the fly. Some apps are specifically tailored to finding a space to park that’s available on the spot. SpotAngels shows current parking options for every block in a city. Most parking apps are free to download and require in-app payment for booking a parking space. These apps offer a variety of payment methods including credit card, Apple Pay, and PayPal. Some apps let drivers pay for parking by phone. PayByPhone and MKE Park are two examples. Some apps like Parker allow users to filter parking options by payment type. This includes payment by cash for those who prefer to avoid cashless payments. There are also apps like Parkopedia Parking that don’t let users pay for parking within the app. Most apps for parking mark available parking spots on a map. 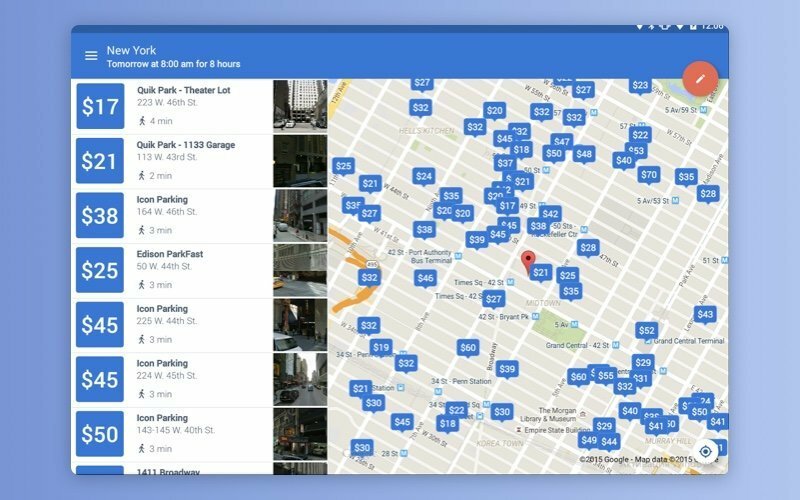 ParkWhiz gratifies users with easy-to-read maps showing discount prices. Other apps allow users to find a parking spot in a different way. PayByPhone requires a customer to enter the location code where they want to park. This code is shown on street signs. Customers can use such filters as nearby, recent, and favourites to simplify search. Then the app requests the amount of time the user wishes to park for. Apps like Parker and Waze place GPS navigation at the heart of their functionality, helping motorists navigate to a nearby parking lot. To learn more about navigation, read our post on principles of building location-aware apps. Keep in mind that parking doesn’t have to be the only core feature of a standalone app; it can be an extra feature as well. For instance, Waze is an all-around driving app that also provides a parking service. For more on Waze, check out our article on how Waze works. Market leaders use certain tricks to attract and keep users. When entering a highly competitive market, think about what perks to offer. Explore this list of benefits market leaders provide as a source of inspiration. Cheaper in-app parking than on-location. ParkWhiz promises parking rates up to 50 percent cheaper if booked in advance. This is actually a default discount offered by many parking providers – for example, airports. The trick is that online rates are usually equal to or less than providers’ drive-up rates as a special deal for booking in advance. Easily find the cheapest parking. ParkMe’s interface allows a user to easily find out daily and monthly parking rates. Prices are laid out on the map, enabling users to compare parking options. Determine a car’s location.Honk offers a notepad for forgetful drivers to enter their car’s location. 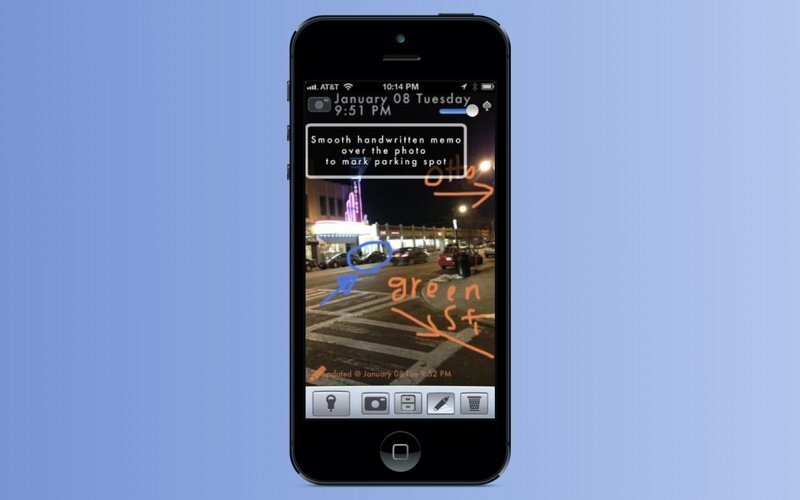 In addition, the app lets users photograph the parking place and superimposes a handwritten note over the image. This app also has a map to help hapless explorers find their cars in a more traditional way. Set a time limit for parking. With just one swipe, Honk users can set a parking time limit. Honk marks the parking place on the map, and when time’s up, it notifies the user. Honk also shows the remaining minutes. Additionally, it features alarm/GPS syncing between a user’s iPhone, iPad, and Mac. Alerts about any impending unpleasantness. SpotAngels users can set up alerts for things like towing, street cleaning, and other inconveniences. Apple Watch support to provide more convenience. PayByPhone has a Glances feature that informs drivers about the time left on their parking meter. This feature frees users from keeping their phone within reach. Now that we’ve viewed the pleasant features of parking apps, let’s switch to things that annoy users. Make sure you don’t make the same mistakes. Incorrect booking rates. Some apps – for example, ParkMe – are criticized for displaying incorrect prices. Only when a user starts the booking process do they see the true price. There are many possible reasons behind such discrepancies, from bad car parking software testing to deliberate obfuscation by owners. Keep in mind that such discrepancies are likely to affect your app’s reputation. Inconvenient filtering of parking options. ParkMe also doesn’t please customers with the ease of comparing parking spots. Let’s say that a user filters for a specific time to find out rates, then goes to the page of a garage to check details. When the user returns to the list of garages, all the information they entered has disappeared. So the user has to re-enter it. During car parking app development, make sure that entered information doesn’t disappear until the user intentionally changes the search parameters. Little choice of places to park. Parkmobile and ParkMe often disappoint drivers, as they can’t find a location to park via these apps. Parking apps like ParkRight show that it’s a good strategy to expand your app one city at a time. This strategy will ensure greater coverage, and has enabled the ParkNow Group to build an international business. The company started with phone parking in Amsterdam in 2000. Since then, they’ve scaled to become the world’s leading provider of on- and off-street parking. Poor information about garages and lots. BestParking’s users complain about a lack of information on amenities. Details such as how to redeem reservations is also absent. Provide your users with detailed descriptions of parking garages and lots. This info may include photos, extra services, regular parking fees, and hours. You can go further by informing users of nearby cafes, stores, gas stations, and car washes. Design issues. Parkmobile is often blamed for its confusing design. An unfriendly user interface and long-winded registration process irritates users. As soon as you’ve learned from your competitors – looking at their competitive advantages and weak points – it’s time to get down to creating your product concept. You’ll also need to ensure plenty of timely parking options. Begin by answering the most important question: Where will I get detailed information on parking spots? Enabling users to easily get this information without leaving the app is half the battle. As a rule, apps for parking only cover affiliated garages and lots. They don’t provide information on all garages or lots. They also don’t inform about street parking. Yet there are apps that give all of this information and even show spaces where it's illegal to park and free parking spaces. Some apps give a general description of parking spots, including photos of entrances. Others are praised for showing amenities, informing about the reservation redemption process, and showing the availability of attendants. They also tell if a parking space requires self-parking or offers valet parking. We suggest providing all the above-mentioned information on parking spots to cover all possible questions from users. This is likely to give you a competitive advantage. But how can you enable your app to provide drivers with up-to-date information? This question especially bothers those who want to build a parking finder app for parking on the fly. Waze is a good example, as it’s famous for being an effective all-around driving solution. To locate free spots, Waze collects street parking information using a car’s sensors and cameras. It’s worth mentioning that this approach is possible only if your user base is considerable. If it’s not, you can use such data sources as Inrix to get current parking information (as Waze also does). Waze also supports an API, allowing developers to open the Waze client app or web page by means of an external URL. This URL can be accessed from within another mobile app or web page. Then the Waze app can locate an address, mark it on the map, or begin navigating. Additionally, Waze, ParkMan, and SpotAngels receive updated information on available parking spots from their users. For example, ParkMan users can press the stop parking button when they get back to their parked car. Motorists in the SpotAngels community can report free parking spaces to other members of the community. They can even add and edit parking rules by sending a photo of a parking sign. A variety of parking options is also a matter of high priority. Take advantage of one or a combination of the three following methods to meet your users’ needs. Partnership with parking providers. Your partners will enjoy this partnership, as you’ll take care of their headache by filling up their lot and handling the bookings and payments by means of parking management software. ParkWhiz encourages parking providers to use the Mobile Attendant app. This app has a built-in QR scanner to scan parking passes and check in motorists. The app also allows for reviewing current and future reservations. Partnership with cities. This kind of cooperation is beneficial for cities as it helps improve the urban infrastructure. It ensures a lower cost for handling payments and less traffic searching for parking. Emissions and noise pollution are also reduced thanks to better organization. ParkNow offers cities an integrated parking ecosystem to control the movement of vehicles. This platform’s parking service comprises cashless apps, parking meters, and permits. It also provides pollution forecasts and enforcement data to manage traffic flows. Encouraging individuals to share parking spaces. Allowing ordinary people to share their vacant garages is also a good idea. Pavemintlets people list their spaces while they’re out. 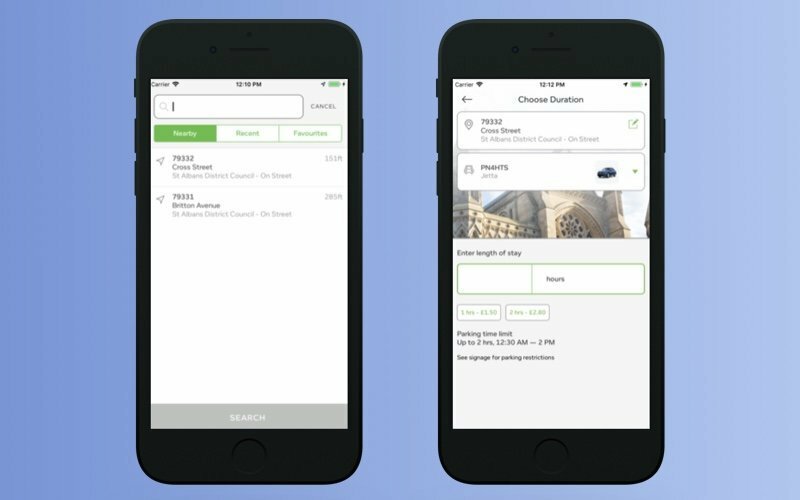 Scheduling tools help people set availability and monetize their underused parking spots. Info on availability of parking spaces is fruitless unless you have a wide user base. The following tricks will help you attract and retain users. Partnership with large organizations. Offer your app to retail delivery providers, HVAC services, and cable companies. This will help them track their fleets, manage expenses, and enable their drivers to easily park. Partnership with shopping malls. Cooperate with malls and outlet centers to release them from the need to manage bookings and payments. MyPark recently announced collaboration with malls to let shoppers reserve parking spots. This partnership will help MyPark attract new users. Sweeten your app with more benefits. Take into account that today’s app users are accustomed to bargains. Enable them to take advantage of rewards points and premium memberships. A referral program motivates users to recommend your app to others. Now that we’ve figured out the basic things, we’ll give our advice on how to make your app even better. Now that we’ve seen the benefits and drawbacks of leading apps, let’s speculate on how you can stand out. To do so, you need to know your competitors and use creative ideas to offer valuable new features. We’ll try to point your train of thought in the right direction. Public transit schedules. Many travelers use their vehicles for solving the first/last mile problem. Provide users with hourly traffic information and even with information on bike sharing. Enable commuters to think over their routes after parking. Make it easy to find a parked car. For some apps, their core feature is locating a car in a parking lot or elsewhere. Find My Car Smarter uses a technology called Bluetooth Smart. By activating the GPS on a user’s iPhone, the app saves a vehicle’s location. When it’s time to jump back into the car, the app guides the driver with the help of an easy-to-use map. Find Your Car with AR is another app tailored to locating a parked car. This augmented reality app traces a user’s steps back to their vehicle. It shows the street address near the parking location, the distance to the car, and the date and time of parking. You can complement your parking app such top-notch location functionality. Killing two birds with one stone. Think of extra services you can provide. Get inspired by the example of Chark.me. This service enables motorists to have their vehicles washed while they’re parked. Chark.me also supplies cars with groceries, deliveries, and washed clothes. Apps for parking are the future. Despite the significant number of iOS and Android parking apps, there’s still a lot of potential in the car industry. Now you know the existing problems to overcome. We’ll gladly come alongside you and provide technical expertise for mobile parking app development to help you accomplish your business goals. Fill in the contact form to get in touch with us!